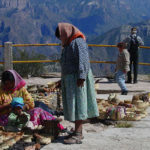 Our Copper Canyon escorted group tours offer a mix of adventure, history, culture and exploration. 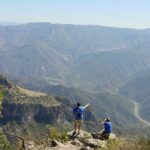 With an expert guide leading the way, you are sure to have an experience of a lifetime in Mexico’s stunning Cooper Canyon. 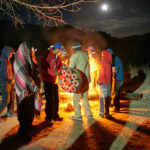 Join Journey Mexico for a unique and authentic travel experience on this incredible 9-day, escorted group tour. 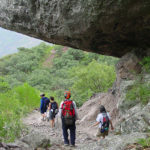 Hike and camp in one of Mexico’s most famous and spectacular natural wonders. Ride on the famous Chihuahua al Pacifico train and soak in world-class views of Mexico’s Copper Canyon–a stunning network of six canyons larger and deeper than the Grand Canyon. 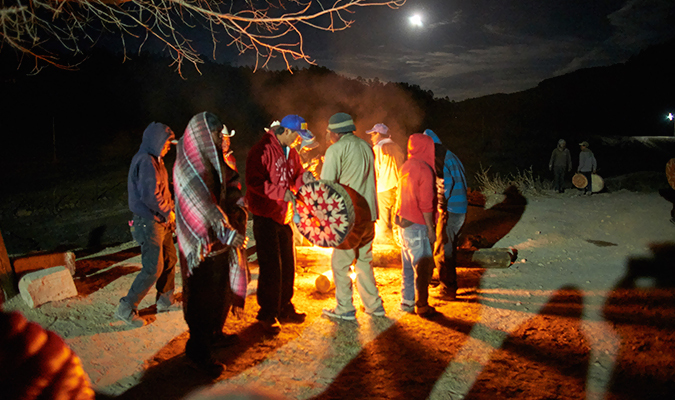 Explore remote Tarahumara villages and rancherías, immerse in the local culture and witness amazing traditions and participate in preparations for and celebration of the ancestral “Ball Race” festivity. Join the race or help support the Raramuri runners, renowned for their long-distance running ability in the high and low Sierra Tarahumara. 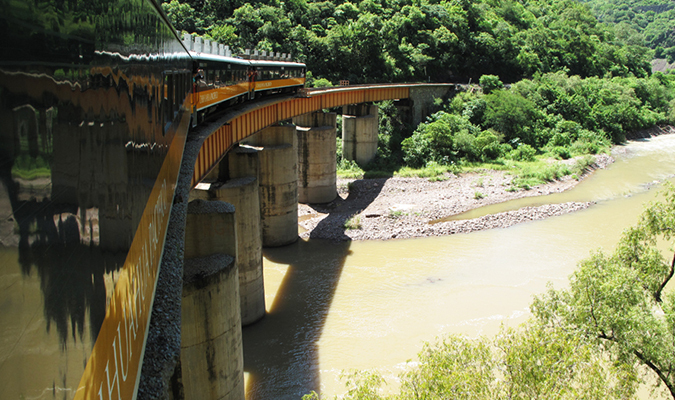 Chepe Train – Enjoy a first-class train trip through the Sierra Madre Mountains. 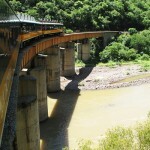 The only passenger train in Mexico. “Ball Race” Celebration – Participate with the local people and experience firsthand one of their most traditional celebrations and their preparation. 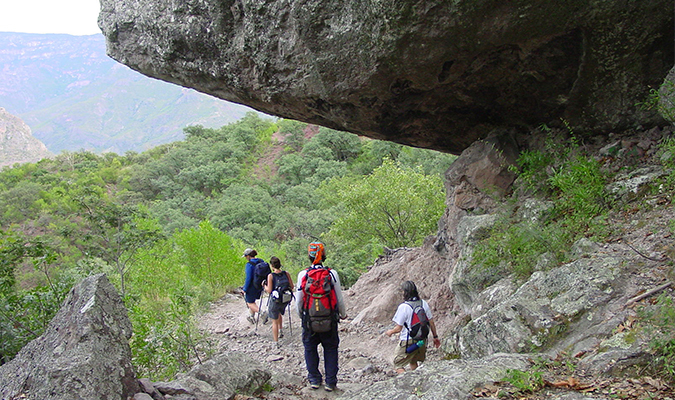 Immersion into Raramuri (Tarahumara) Indigenous Culture – Hike and camp on their territories. 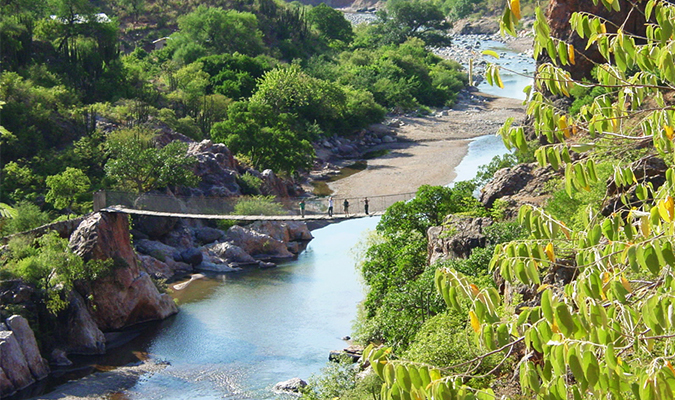 Hiking Expedition – Take in Copper Canyon’s spectacular landscapes. Hike from the rim to the bottom of the deepest canyon in the system. Once you arrive at Los Mochis International Airport, you will be transferred to El Fuerte and settle to your hotel. Relax and wander this quaint and historical city. At 5:00 PM you will meet your guide in the hotel lobby for an introduction and details on the next day’s departure. All aboard the world-famous Chihuahua al Pacifico train for a trip into the Sierra Madre Mountains. This comfortable, first-class train leads us through dozens of tunnels and over countless bridges with exceptional opportunities for taking pictures or just enjoying the view. Lunch is on your own at the restaurant car. We arrive in the early afternoon to the community of Areponapuchi. It’s a short 10 minute transfer to the rustic and comfortable community cabins where we will spend the night. 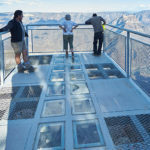 For the afternoon, we have an optional short hike around the area where we can visit the Copper Canyon Adventure Park that has the longest zip line in the world along with other attractions. We will return to the cabins for a homemade dinner. After breakfast, we’ll hop in vehicles and transfer to the trailhead at San Rafael. We then load up the mules and begin our walk through the rolling hills of the high sierra. We’ll arrive in Guitayvo in the afternoon. 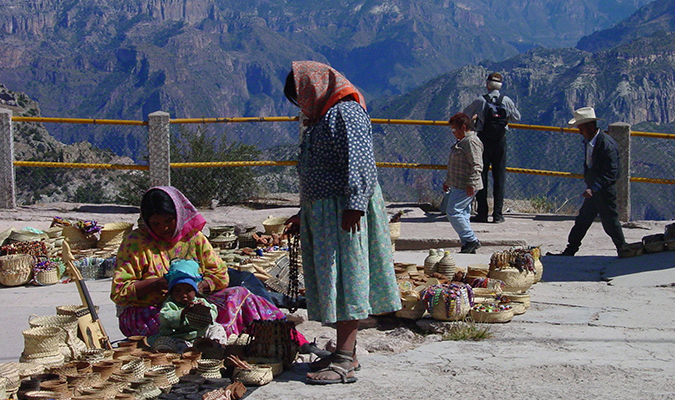 Guityavo is a very welcoming indigenous community located on a mesa at the rim of the canyon with spectacular views. After some relaxation time, we will have the chance to start our immersion in the Raramuri culture. They will show us how they make the wooden ball that is kicked, the “Palillo,” a stick they use when the ball gets stuck, and sappy wood torches used for light during the night—all of which are used during the men’s race. For women’s race, small hoops, “Arihuetas,” are made out of branches wrapped in cloth. With a stick in hand, the women toss the hoops during the race. In addition, they will teach us to make sandals using only car tires and leather straps. Today is the day of the traditional races: Arihueta for women and Rarajipari for men. It requires an early start for the women, who will cook food for the runners that will be eaten while running and also for the community after the races. Each race is run by two teams and each team will cook goat meat, make tortillas and cook a corn-based beverage for the runners. The “cabecillas,” team-heads, will organize the bets and the terms for the races. We are welcome to participate in any of the activities during the day. 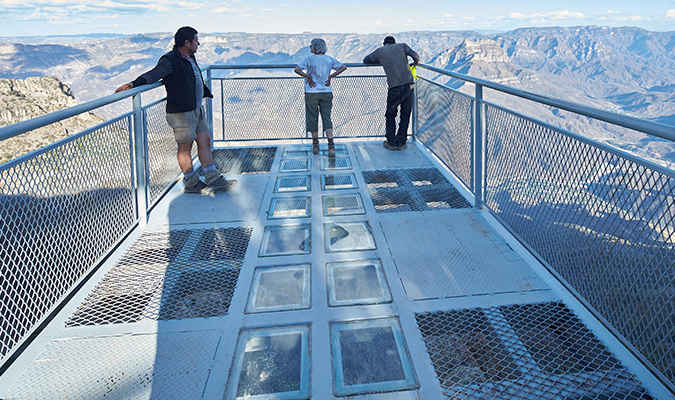 There is also an optional hike that goes to some incredible lookouts over the canyon. The races will be in the mid-afternoon, first the women and later the men. For the races, we are invited to run, support them with torches (men race at night), hand out food, cheer or just watch them run. Once the races are over, and it will take some hours, the team that wins will collect the bets and then the fiesta begins, with music, dancing and food for celebration. After the party, or when you get tired, it is time to sleep. Yesterday was a long day, so we will take it mellow and once everybody is ready we will continue our hiking adventure as we continue navigating around the mesa of Guitayvo. We’ll drop down into an arroyo (river bed) and then gradually ascend up the canyon, passing along a trail perched on the rim. The mystical tranquility of this alpine region is reinforced by the wind whistling through the pine needles. 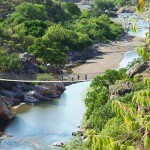 Our camp tonight will be in a ravine close to a small ranch and a house that belongs to a Raramuri family. 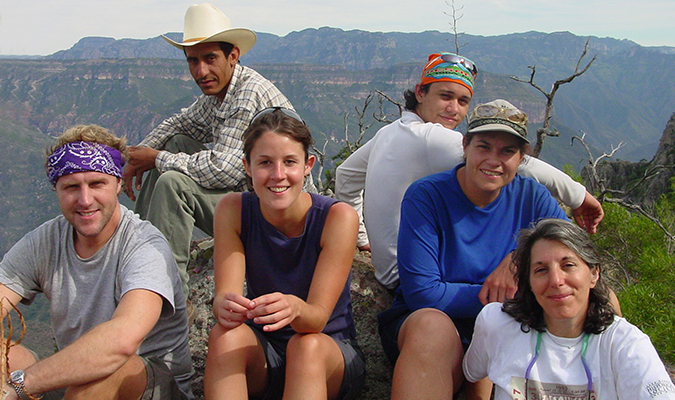 We will spend today on mesas and ridges as we connect with the Urique Canyon. 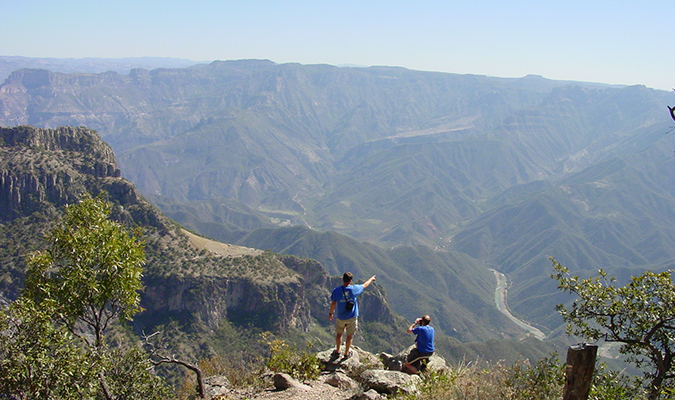 These trails offer stupendous views as we hit our stride while walking along the ridge that drops down into the incredible Copper Canyon. We’ll arrive to the small ranch of Chihuirabo in the late afternoon. Today’s camp has one of the most spectacular views of the canyons and no tourists at all. Dinner will be right on the rim as we admire the sunset. We now enter the Urique Canyon proper through a side canyon. The views from the ridge looking down are spectacular as we carefully navigate and break up the steep descent with plenty of stops to observe the quickly changing views and vegetation. 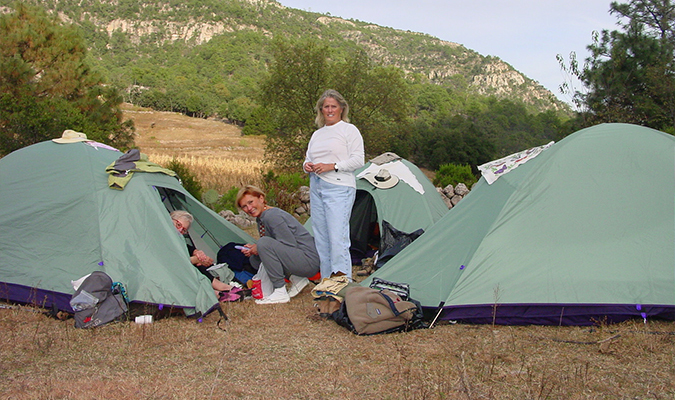 We make our way towards Naranjo, where we are greeted by the friendly people that live there. After enjoying the views from the bottom of the canyon, and the route we took to get there, we will load our gear into a vehicle and head down to the town of Urique. We will have time to check out this wild-wild-west mining outpost. 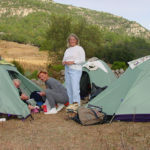 In the afternoon, we will climb out of the canyon, by vehicle, up an impressive switchback road to the high sierra and our own private lodge at Cerocahui—where our clean clothes and a hot fire are waiting for us! After breakfast, we will have an optional hike to get from the cabins to the town of Cerocahui (2hrs aprox.). 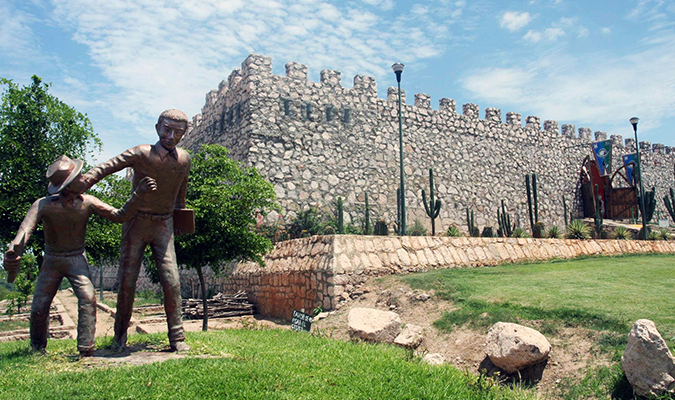 After a stop to see the Cerocahui Mission, we will drive to Chihuahua, passing by Divisadero in case we want to have a last view of the canyons or do an activity at Parque de Aventura. Another optional stop is Creel, a frontier logging outpost turned tourist center, where you can find crafts made by the Raramuri, souvenirs, maps, music, etc. 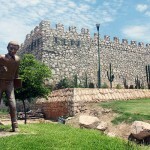 You will eat lunch along the way and arrive at Chihuahua city by the evening. Once set up at our comfortable accommodation, you will have some time to relax before our farewell dinner fiesta.